I spent my last day off work catching a few final rays of sun in the back garden as I pruned some bushes. 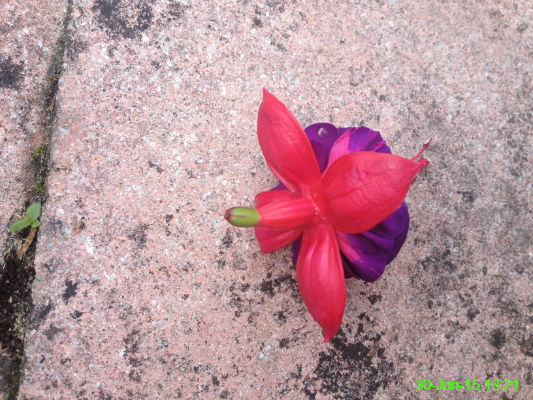 This was the prettiest thing I found. 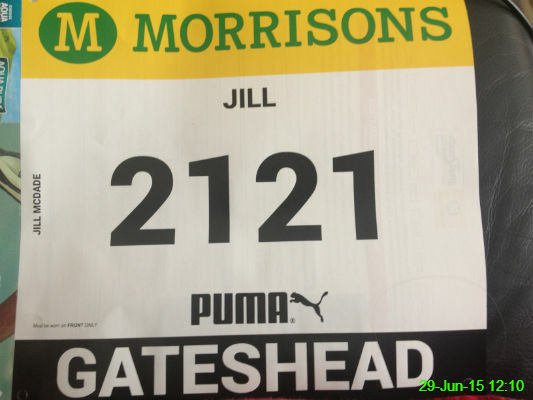 It seemed like a good idea at the time, but now my number has arrived for the Great North 10K at the weekend I'm not feeling quite as enthusiastic. I couldn't go a whole week in New York without having one photo of food, could I? 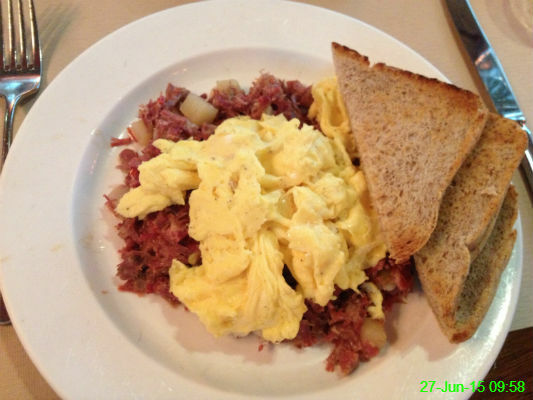 I started our last day with a brunch of corned beef hash, scrambled eggs and toast at Pershing Square Cafe, near Grand Central Station. It was the perfect way to prepare for the long journey home. 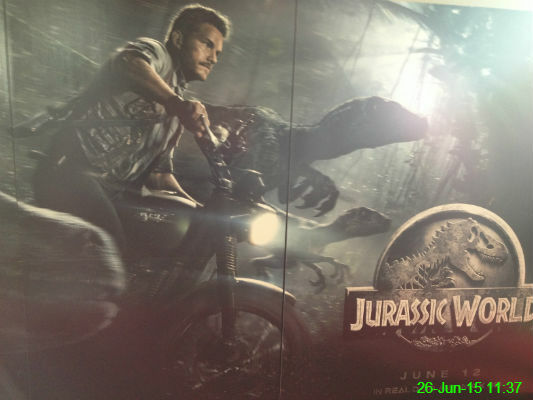 As a huge fan of the original Jurassic Park I couldn't resist the opportunity to see the latest instalment in IMAX 3D. There were plenty of areas I could criticise, but overall I couldn't help enjoying it. We went to have a walk around the streets of Brooklyn to look at some street art. It was another hot and sunny day so I spent a lot of time jumping between areas of shade until we eventually gave in and found a brilliant air conditioned bar (The Bodega) nearby, to sample some craft beers and ciders along with copious volumes of cold water. 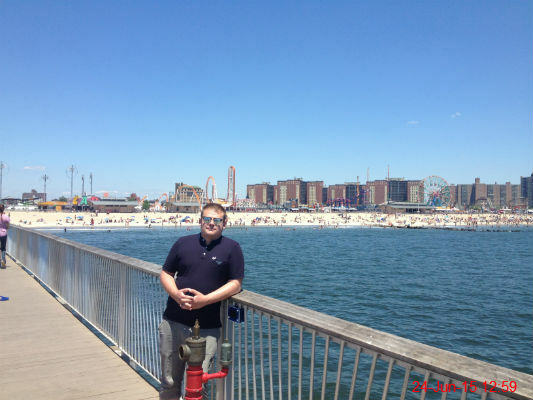 I started my 30th birthday with a trip on the subway to Coney Island where there is a beautiful beach and funfair. We had a walk out onto the pier to admire the view but soon had to retreat into the shade. Later in the day we went to watch the New York Red Bulls (who actually play in New Jersey) beat Real Salt Lake 1-0 and then went up to the Top of the Rock (the viewing platform at the top of the Rockefeller Center) for an excellent view over the city at night. An unforgettable birthday! 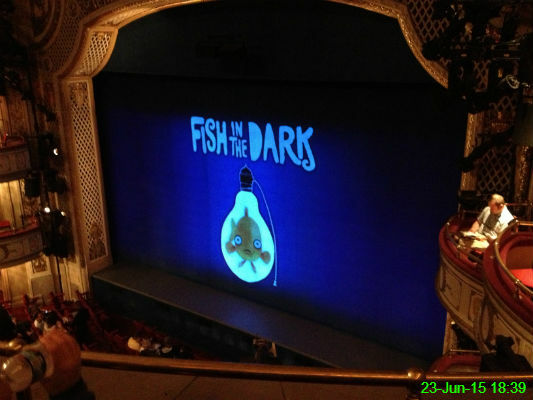 We had tickets for Fish in the Dark at the Cort Theatre. It's written by Larry David and stars Jason Alexander and turned out to be a pretty amusing show and a cool way to spend the evening. 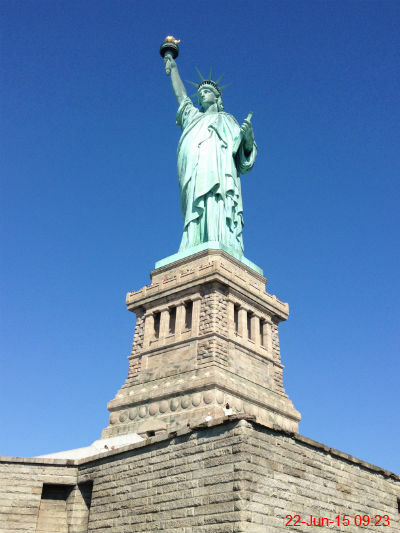 We had an early start this morning and got the ferry to Liberty Island followed by Ellis Island. It was a wise move because even at this time there were already tourists everywhere. 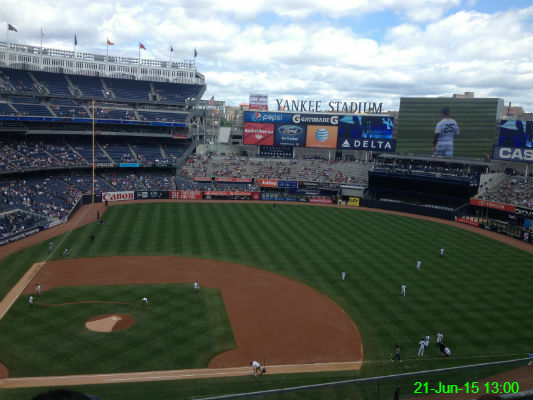 We went to the Yankee Stadium to see the New York Yankees lose 12-4 to the Detroit Tigers. I've never really followed baseball but it was a fun experience and turned out to be the hottest I've ever been at a sporting event, which was quite a contrast to when we were in Berlin in November. When I arrived at the airport this morning I believed we were going to various cities in Scandinavia. It turned out Michael had tricked me and instead we flew to New York. 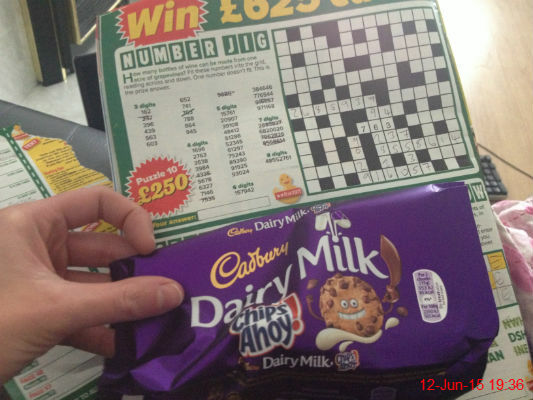 It was a brilliant surprise! 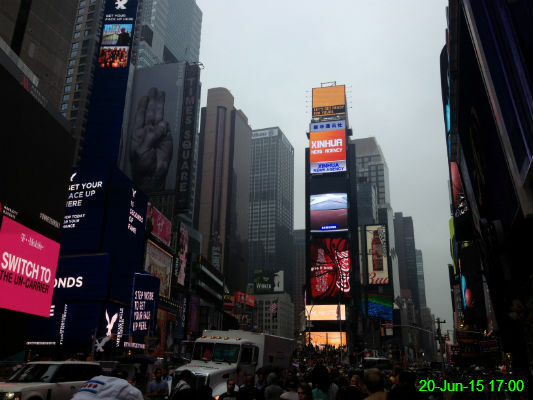 We were keen to get started on the sightseeing as soon as possible so we wandered around Times Square to begin with. With the % humidity in the high 90s it was definitely a wander. 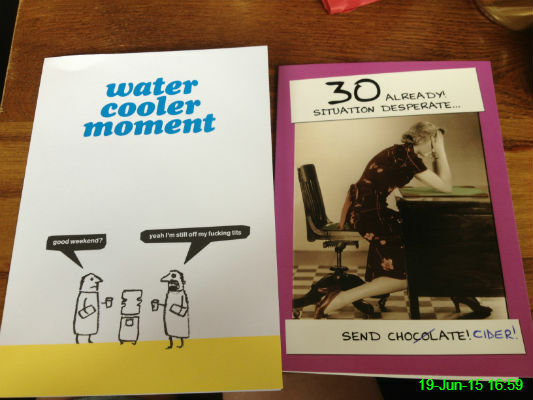 I received these two cards from people who know me far too well: Matty (left) and Ali (right). I'm starting to feel like the Queen since I'm lucky enough to be having so many lovely birthday celebrations. Today was my last day at work before going on holiday so there were cards, presents, a surprise buffet and this amazing cake. 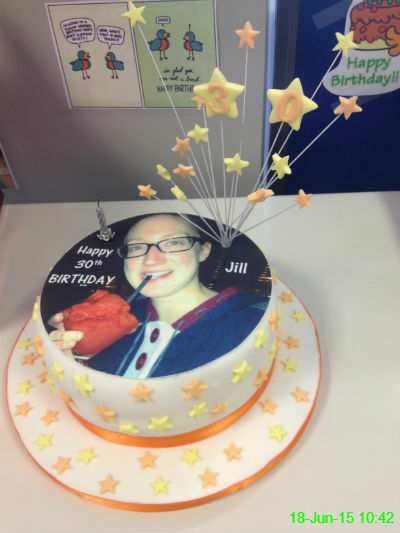 I felt thoroughly spoiled and it was proof that I work with a really great bunch of people. 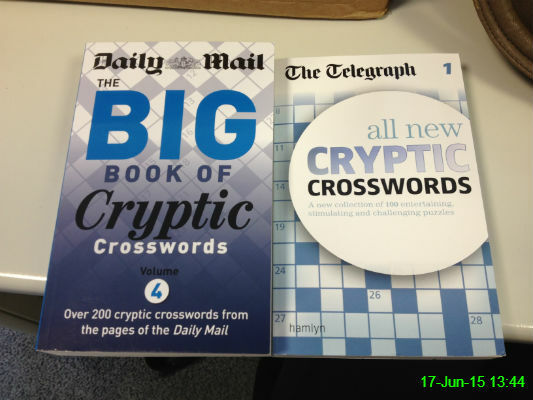 Since I have a lot of travelling coming up over the next few weeks and I've completed the majority of the three crossword books I already own, I invested in a few new ones to challenge my brain. This seems a reasonable comment. 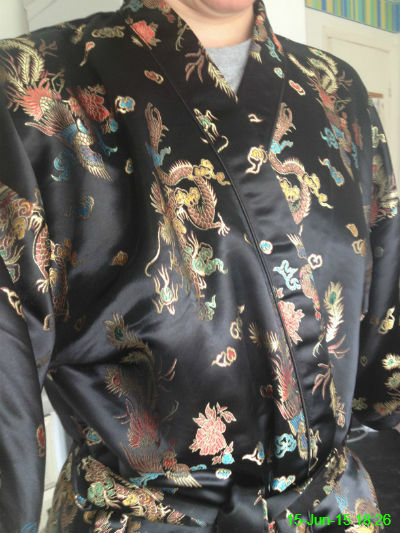 It's a bit too warm for my much-loved dressing gown at the moment but, having dug this kimono out, I think I'll manage with this as a more summery option. 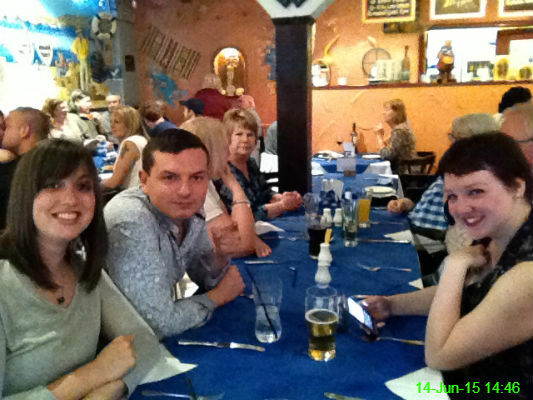 Since I'm on holiday for my 30th birthday in 10 days, my family were kind enough to gather for an early meal to celebrate. 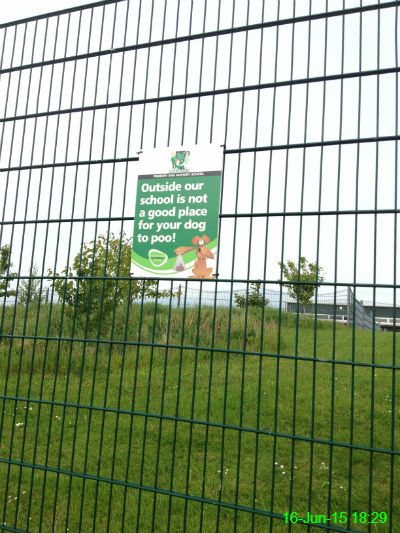 In attendance with me were Michael, Ali, Sophie, Nass, Sue, Chris, Mam and Kathy. Some pictured, some not, but all very much appreciated! The final thing remaining on my pre-30 "bucket list" was a trip on the Shields Ferry. I'm not sure how, but I'd never been on it before. 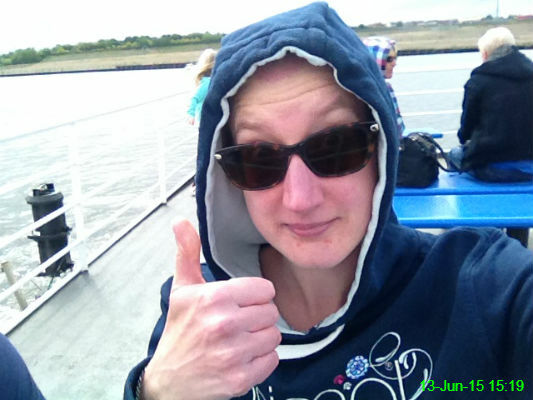 It was a bit windy out on deck but I quite enjoyed the trip from South Shields to North Shields. 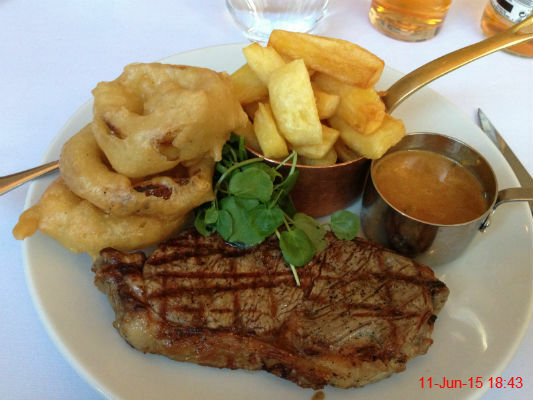 I went to Marco Pierre White's Steakhouse with Nicola, Olwyn and Lorraine as an early (by almost a fortnight!) 30th birthday celebration. I had a 10oz sirloin steak (medium rare) with blue cheese sauce followed by Eton mess. 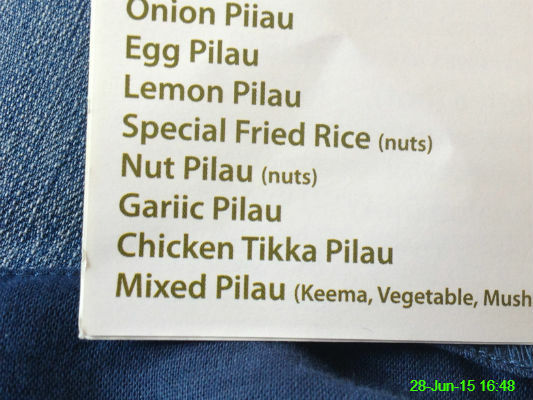 It was lovely, but I was ready to roll out of there afterwards! 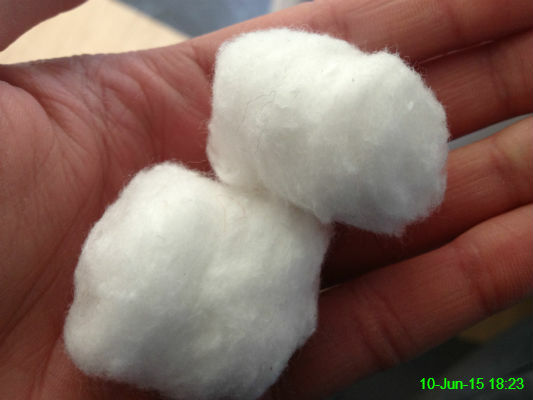 I don't use this very much but I do like how soft and fluffy it is. 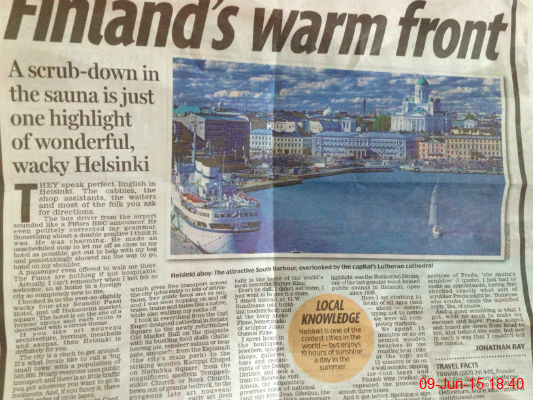 With only 11 days to go until we go on holiday, I had another read through this article about Helsinki. 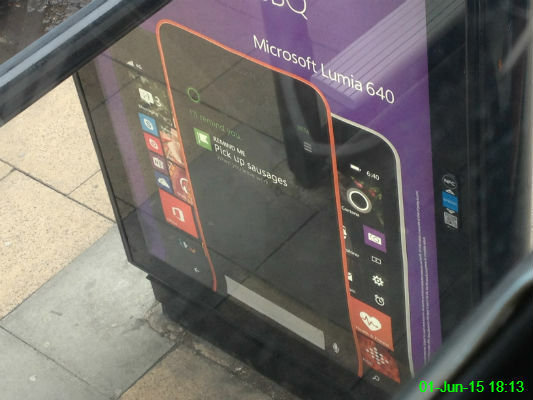 I can't wait to have a walk around that harbour! 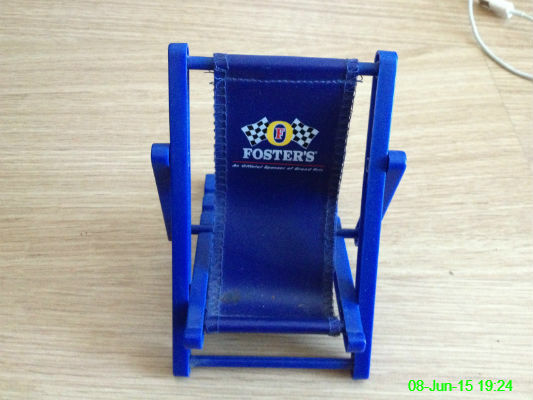 This mobile phone holder is pretty old but my iPhone fits in it perfectly so I've reclaimed it from Mam's house. 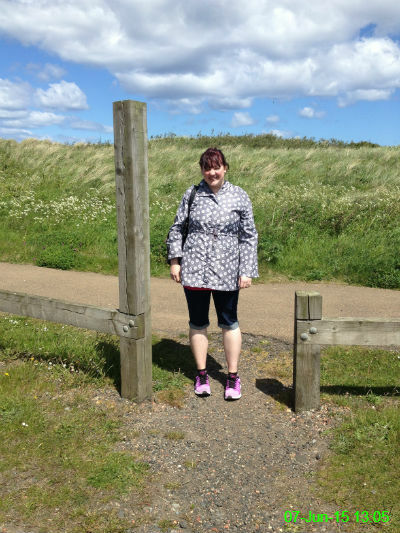 Ali and I went for a 12 mile walk to Blyth. It was a bit cooler when we reached the coast so Ali had to put on her jacket, but overall I was pleased to see she has joined the McDade tradition of wearing shorts! 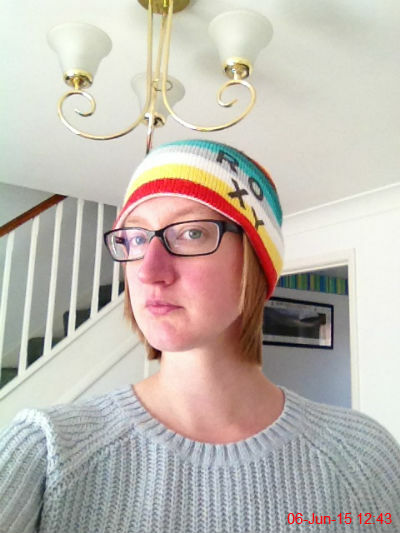 I got a haircut today, but since it was extremely windy I still decided to wear a hat. 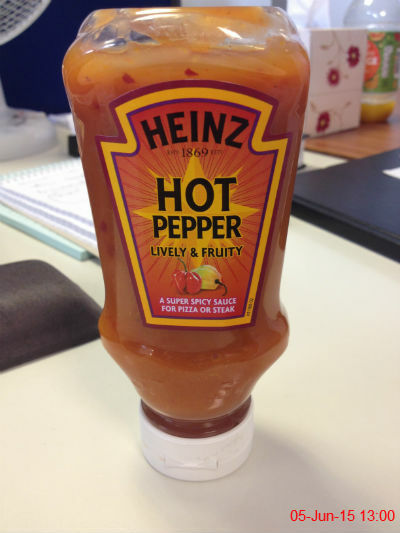 It was a boring ham sandwich for lunch today so I added a few generous dollops of this hot sauce to liven it up a bit. 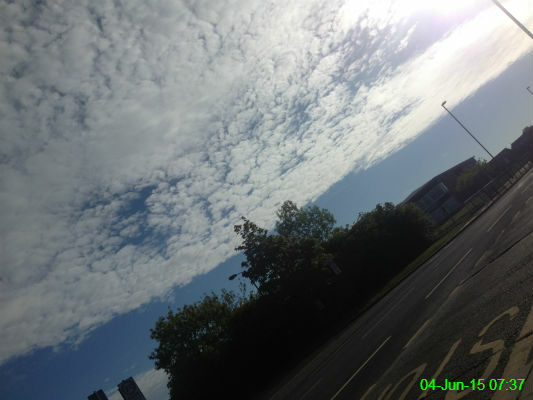 I thought the clouds this morning were quite cute and pretty. 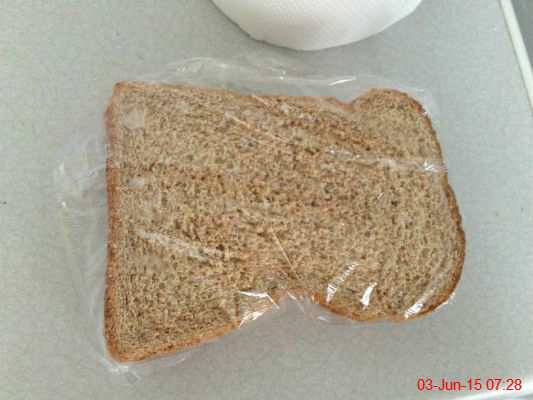 The highlight of my day was remembering to take some bread out of the freezer to defrost so that I can make sandwiches for tomorrow's lunch when I get home later. 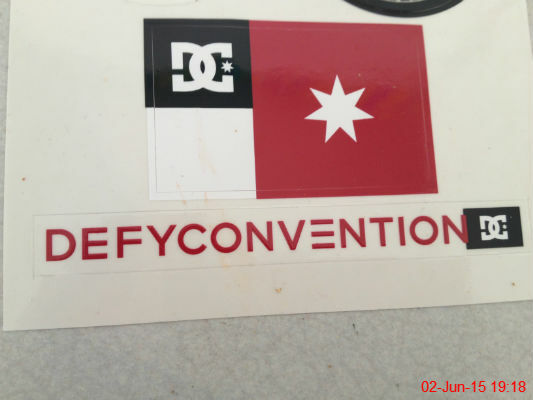 It's just a slogan on these DC stickers, but I suppose this is something I try to do where possible.